This is the result of a study conducted by the specialist analytical tools for mobile applications Flurry. last November, the use of mobile applications was 1,8 times greater than the web. 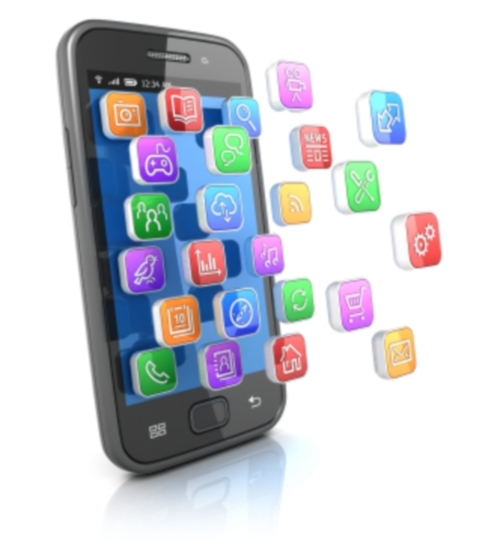 Mobile applications are gaining momentum and it will not turn. It is in any case to suggest that the latest study by Flurry Analytics specialist for mobile applications which compared the time spent by Americans on mobile applications on the web and watching TV between December 2010 and December 2012. To conduct its study, Flurry measured over a billion events with more than 250,000 applications created by more than 85,000 developers. Event means the actions performed (complete game, book a restaurant, ...) by consumers using these applications. Then the company has studied more than 60 billion sessions. 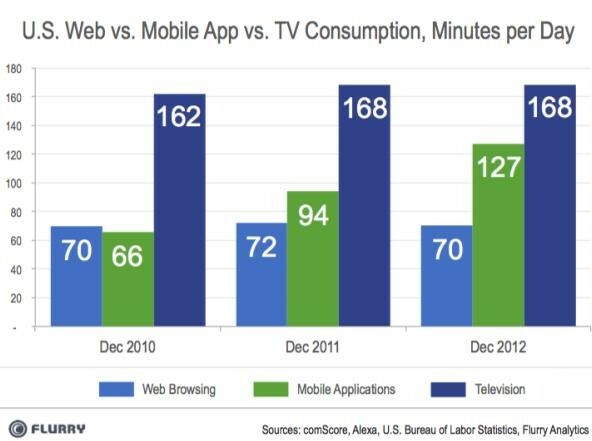 Result: mobile applications outweigh handily with an average time spent of 94 minutes daily to 127 minutes between December 2011 and December 2012. An increase of 35%. In contrast, the average time spent on the web has decreased by 2.4% from 72 minutes to 70 minutes. so U.S. consumers spend 1.8 times longer than mobile web applications. In addition, the study reveals that 80% of the time spent on applications is for games, social networking and entertainment categories. 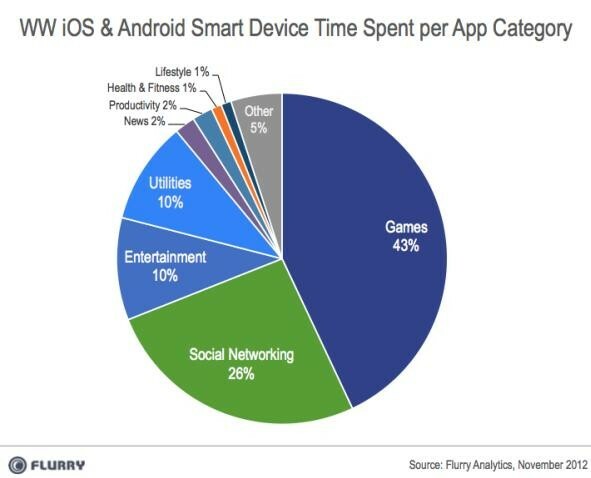 Thus, 43% of time spent on mobile applications (55 minutes) is devoted to games. This means that mobile gaming on tablets or smartphones accounted for 76% of time spent on mobile applications (55 to 72 minutes). A survey bodes well for developers of mobile applications, and especially video games.